North Boulder Companion Animal Hospital opened in 1993 and has grown to a three veterinarian hospital. They all provide a full range of services from the simple nail trim to complicated surgeries. All of our veterinarians share a love of not only dogs and cats but also exotic pets. 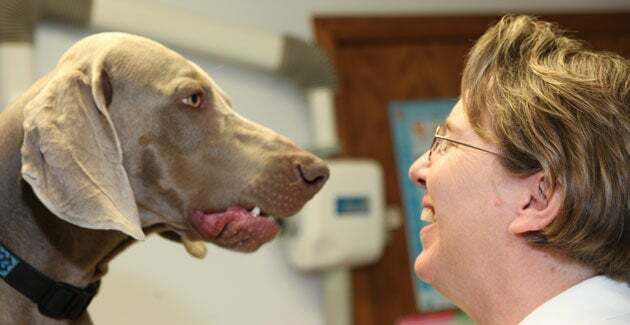 Our goal is to serve each pet and guardian by providing compassionate care, flexible diagnostic and treatment plans, as well as current medical information and technology. We value building lasting relationships. We listen to and understand our client's concerns and needs, and will work with you to design a plan that fits the needs of both you and your pet. We strive to give individualized attention with respect for each Guardian's philosophy of care and budget. We offer free initial visits and benefits for adopted pets. It is our goal to help to give each animal we care for the best possible quality of life from birth to end of life care. We strive to be present and listen to our clients. We treat our clients with honesty and respect. We approach all problems with knowledge, expertise and enthusiastic resourcefulness.